We held onto this photo until we felt we needed a boost in traffic. We're almost 11 hours into play and we have 5 players left. 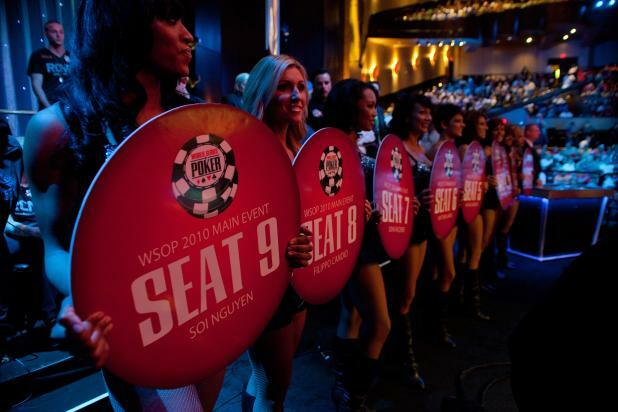 Enjoy the Rio Masquerade ring girls that escorted the November Nine players to their seats.